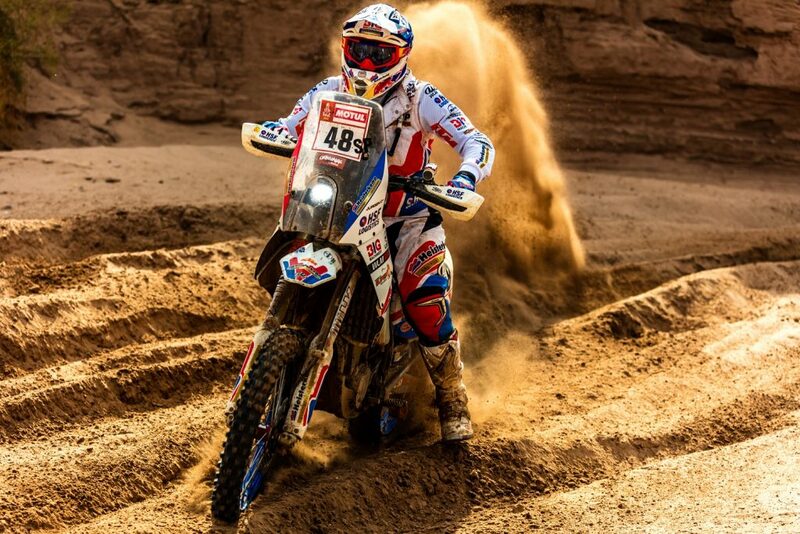 We followed Jurgen van den Goorbergh in his run up to his final Rally Dakar entry; his final attempt at winning the Malle Moto class. Obviously we’re very curious as to how the Dutchman got on in 2018’s rally. The former MotoGPTM rider spills his guts on the hardship of the most grueling rally raid in the world. First of all, congratulations! You’ve made it to the finish line, coming 41st. You have to be proud, right? The bike made it out unscathed, but we can’t really say that about you physically, can we? You’ve been home for a week now. How’s the pain in the neck going? Back to the rally. All contestants agreed this was a big one. Would you say it was tough? Which stages or areas will stay with you the most; what made the biggest impression? In 2016 you took home the Malle Moto title and this year you had high hopes to reclaim it, only to finish fourth in the end. That has to bum you out, doesn’t it? You rode a self-made bike, based off a KTM 450 EXC-F. How did people respond to that? You take on a daunting ride through the depths of hell for two weeks, as Malle Moto riders even more so, that has to form an unbreakable bond of friendship among rider, doesn’t it?